We are delighted to have two keynote presentations at EUROGEO Paris 2019 from world leading speakers. 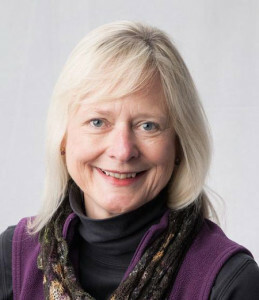 Sarah Witham Bednarz is a professor emerita of geography and past president of the American Association of Geographers. Bednarz was principal investigator on two major curriculum and educational research projects, Mission Geography (NASA) and Advancing Geospatial Skills in Geography and Spatial Sciences (AGSSS); co-authored the national geography standards, Geography for Life (1994 and 2012); participated in the National Research Council Learning to Think Spatially project, and helped to develop the National Assessment of Educational Performance (NAEP) framework in geography. Dr. Bednarz holds a University Professorship for Teaching Excellence and received the George J. Miller Award from the National Council for Geographic Education in 2005 and the Gilbert H. Grosvenor Honors for Geographic Education from the Association of American Geographers in 2007. Recently she co-chaired the Geography Education Research Committee (GERC) of the 21st Century Road Map for 21st Century Geography Education Project with Niem Huynh and Susan Heffron. She has long been interested in the intersection of teaching and learning geospatial technologies and spatial and geographic thinking, the result of her first career as a middle and high school geography teacher. Sarah and her husband, Robert, now live in Albuquerque, New Mexico. Robert Bednarz is emeritus professor of geography at Texas A&M University. His research has focused on spatial thinking, the impact of using geo-spatial technologies on spatial-thinking skills, assessment of spatial-thinking skills, and the implementation of geo-spatial technologies in science and geoscience curricula. He served as president of the National Council for Geographic Education and as chair of the AAG’s Geography Education Specialty Group. He has directed or co-directed funded projects to infuse geo-spatial technologies into the K-12 curriculum. He contributed strategies and materials for two NASA-sponsored programs, Mission Geography and GeoEarthKAM. 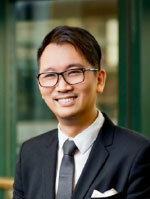 He also served as co-PI of an NSF project, AGSSS: Advancing Geospatial Skills in Science and Social Science. These recent projects reflect more than 20 years of working with K-12 teachers to enhance their knowledge, skills, and strategies. 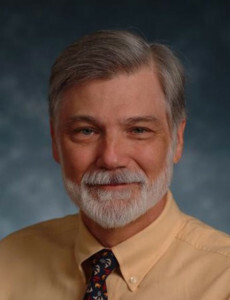 Dr. Bednarz has significant editorial experience, serving as editor of the Journal of Geography from 1987 to 1997 and presently as North American editor of the Journal of Geography in Higher Education. In addition to his professional publications, he has also authored several middle and high school textbooks. nological University, Singapore. He is also an elected Senator to the Academic Council of the University. He is also concurrently, an Adjunct Pofessor of East China Normal University, Shanghai, China. Prof Chang has published widely in the areas of geography, geographical education and environmental education. He is the President of the Southeast Asian Geography Association, in addition to being the Co-Chair of the International Geographical Union Commission on Geographical Education. He is the Co-Editor of the journal International Research in Geographical and Environmental Education (IRGEE) and is the International Editor of the journal Review in Geographic Education online (RIGEO) for the Asia and Oceania region. Prof Chang also serves as a member of the scientific committee of the journal J-Reading – Journal of Research and Didactics in Geography.